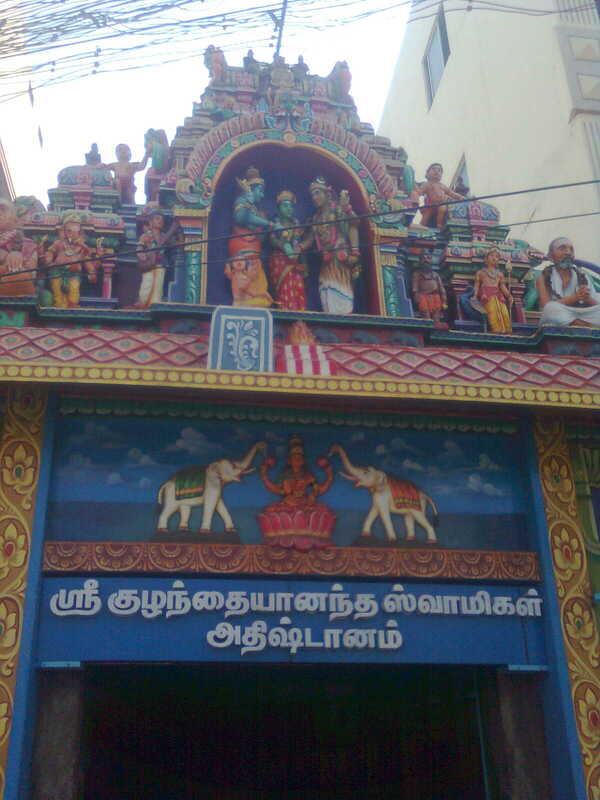 Sri Anna Swami and Tripurasundari couple who lived in Samayanallur near Madurai prayed to Goddess Meenakshi for a child. Meenakshi blessed them with twins. She told them that the eldest child had to be left in the Meenakshi Temple itself. Kuzhandai Ananda Swamy was born as the eldest child to the couple and was left in the Temple itself. The couple were worried as to who would feed the child. To their surprise the child drank the milk offered to Goddess Meenakshi. 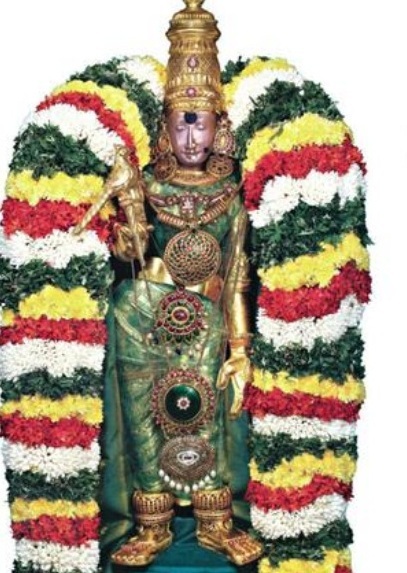 The Temple Poojari was instructed by Goddess Meenakshi that the child should not be disturbed and that the child would eat the food offered to the Goddess. One of the Ministers of Tirumalai Nayakar who ruled Madurai visited the Temple and were surprised to see the child eating the food offered to the Goddess Meenakshi. The Minister was not convinced about the divinity of the child and said that if it was really the child of Goddess Meenakshi, it should be able to walk in water. 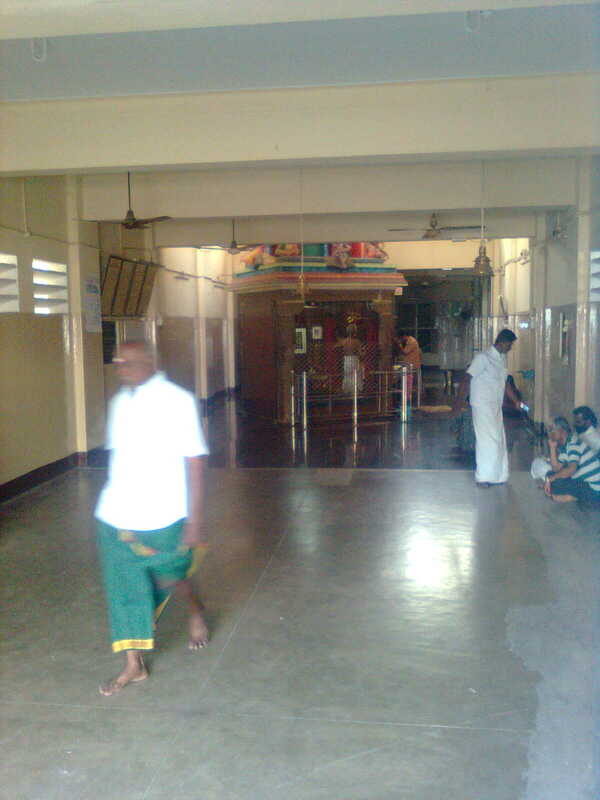 The Kid who was around 5 years at the time walked to the Potramarai Tank and walked in water. The Minister apologized for doubting the divine child and informed Tirumalai Nayakar King. The King came and sought the blessings of Kuzhandai Ananda Swamy. Kuzhandai Ananda Swamy went to Kashi at the age of 16 and became the famous Trilinga Swami who lived for 150 years. He then travelled to Kailash, Badrinath, Kedarnath, Nepal and other spiritual places.